It's official. I'm calling BS on the American Dream. We achieved it. Bought the home. Filled it with the stuff. Gained equity. So what now? Buy something bigger, better, newer? Happily, ever after? Maybe I’m the only one that gets overwhelmed by housework, but do you ever think, 'do we really need all this stuff'? Or what about, ‘we need more storage’! And taking it a step further, have you ever thought about ditching it all for a simpler life? On the road perhaps? I suppose anyone who watches HGTV has come across this idea. Shows like Tiny House Hunters and Tiny House, Big Living debuted a few years ago and seem to be a growing trend. I say, sign me up! For months I have been putting this idea in my husband’s head. As the main breadwinner of the family, he was probably caught a little off-guard by this fantasy and maybe slightly offended. Here he has been working tirelessly to afford the so-called dream. And don’t get me wrong, we are a make the best of any situation kind of people, so that’s exactly what we’ve done. We’ve done a handful of home projects, we’ve decorated and hosted family gatherings and holidays, made countless memories with our children, maintained a garden and turned our upstairs loft into a schoolroom. But at the end of the day, do we need all this space? I really don’t think so. According to the Census Bureau, the average size of homes built last year was more than 2,400 square feet (slightly down from 2,600 square feet in 2013, a record high even over the housing bubble years, when homes averaged around you guessed it, 2,400 square feet). What’s even more astounding is when you look at statistics spanning the last 60 years. In 1950, the average home size was less than 1,000 square feet with two bedrooms and one bath, according to the National Association of Realtors. Add 500 to that by the early 1970s and another 1,000 to present day and here’s the kicker – the average family size actually decreased from 3.37 members in 1950 to 2.5 members in 2016! I love that term. Stuffitis. I have long had this same sentiment toward the size of my purse. If I have a bigger one, does it rest on my shoulder lightly with just my wallet, cell phone and Chapstick inside? Nope! I stuff it with errrvvvrrythang! It’s no different with a big house. You fill up every room, wall, cupboard and closet, heck even the garage and yard, until you are consumed by stuff. Then what? Well society says, get a bigger house! More storage, less yard. Who needs all that yard space anyway, what with all the stuff inside. All the distractions. This all really started to weigh on me after my second and third children were born. The stuff started accumulating by the masses. Diapers. Toys. Gear. Gadgets. Gifts. Hand me downs. Diapers. Souvenirs. Seasonal clothes. Next size clothes. Keepsakes. Diapers. We were so blessed by friends and family and thankfully didn’t have to buy much ourselves, but in addition to our own things, it just became a lot to manage. So of course we thought the solution was more storage, bigger house. In the process of organizing that house, I read something that really resonated with me. For the last six months I’ve been following a handful of families who left behind suburban life for the road less traveled. Life on the road. Tiny living. It looks different for every family. But the goal is the same: own less, live more. Simple living. It goes hand-in-hand with the trend of minimalism and the age-old adage, less is more. I look around Southern California (on the rare occasion I subject myself to the common practice of sitting in traffic) and I can’t help but wonder, what are we doing this for? Is it necessary? Everywhere I look people are trying to make more money so they can have more things. More responsibility or accolades which equals more hours at work. More side jobs because one isn’t enough. More more more. More stress which means less time with family, less time outside, less time unplugged. The only more I want is time. My time, my husband’s time. I want him home after work, not hours later after dealing with offsite parking and a crazy commute. (He handles this all in stride however, he’s better than me in that way, among others. He rarely ever complains, but we both know he’d much rather spend the time elsewhere). This isn’t just a personal rant. In a survey conducted by Archstone Recovery Center, getting stuck in traffic was the biggest reason cited for Americans’ headaches. Nationwide, the average person spends a whopping 42 hours each year sitting in traffic – nearly two full days – and in major metropolitan areas that number goes up. The same study found the next two headache contributors were none other than work and personal finances. Work car, work car. And why? So you can be in thousands of dollars of debt just to say you’re a homeowner? Correction, after 238 more payments, you will officially be a homeowner. But hey, who cares about the details, it’s the American dream we’re selling here! So we finally got up the courage to do it, to sell the house and move out-of-state, where at least the cost of living wasn’t as disproportionate. Find “our” place. Enter twist of fate. After months of playfully suggesting the idea of RV living, we found out it would be at least a few months before we could obtain a home loan in a new state, and renting just seemed like a waste. And so, God indirectly answered my prayer and continued to make the path to this life very clear. As things kept falling into place with the sale of our home, and the opportunity for a great deal on an RV travel trailer in the city we had in mind, we couldn’t have been more sure this was the right move for us. 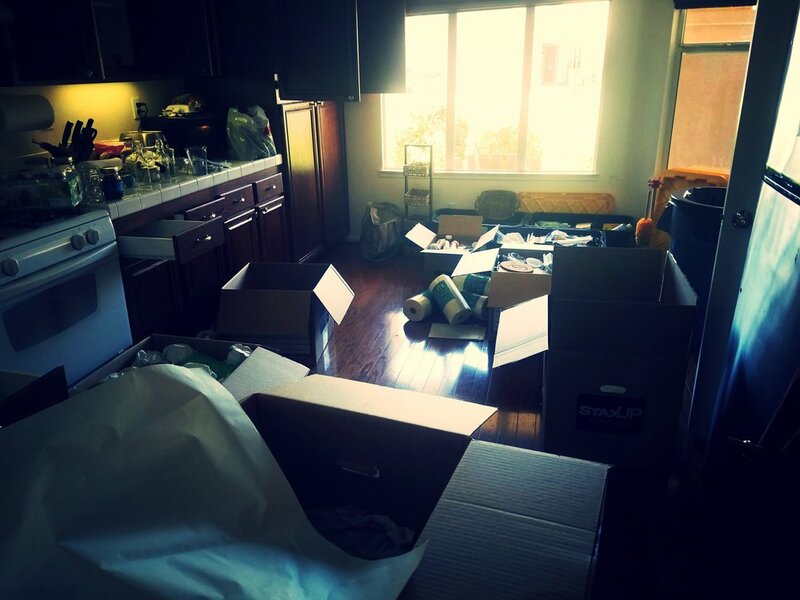 As the close of escrow was drawing near, it felt like a never ending marathon attempting to downsize in preparation for tiny living. But we kept reminding each other: we’re trading the big house, the stuff, the easy access to all things entertainment and industry, for simple living. Slower pace. TIME. And we did it! 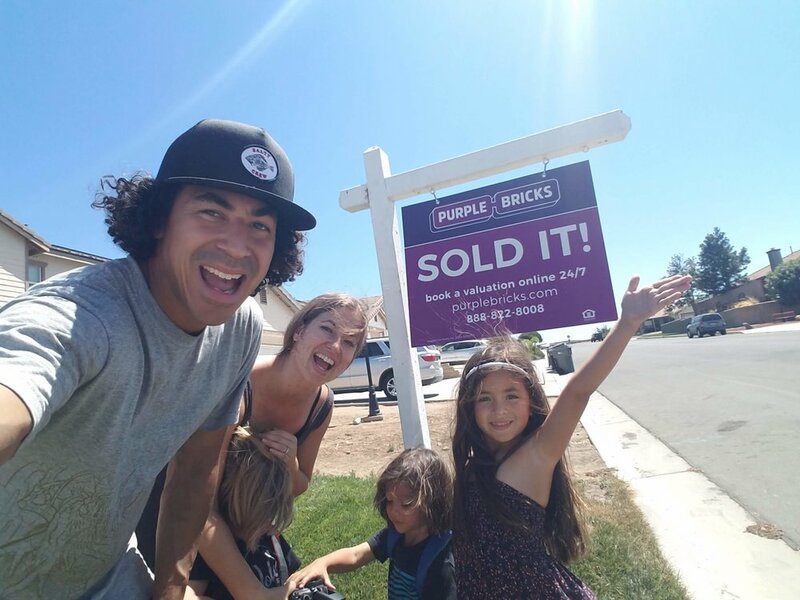 A few weeks ago we closed escrow and left the state officially homeless. Happy. Liberated! We took the road trip up the coast we’ve been planning for years, but with no plans of turning around. We’re not saying forever, no. I’m a homemaker at heart. Maybe we will obtain a plot of land for our dream of homesteading one day, when the kids are able to pull some weight. For now, our home will be a 2014 Keystone Hideout Travel Trailer, currently stationed in Bend, Oregon. Our children are young; they mostly just want and need to be close to us right now. With less distractions, we can give them more. With less to manage, we can better prioritize. To me, we are giving them, and ourselves, an incredible gift. And when we do decide to settle down, I’m sure it will create a whole new sense of appreciation and gratitude for the space…though I don’t think I’ll ever need 2,700 square feet again! Small homes mean more financial freedom, less concern over material possessions, stronger relationships, less time cleaning, more time having fun.